(In honor of the upcoming Rally to Restore Sanity/March to Keep Fear Alive I shall deliver all the news this weekend twice: First the sane way, and then the fear way. 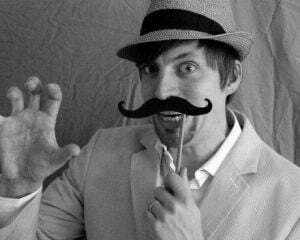 It's the weekend, I get to do stuff like this (I hope... please don't fire me). Sane: I really thought NASCAR would be the only "sport" I wasn't interested in that I wrote about this weekend, but never underestimate the internet and its ability to bring you news on a dart game. 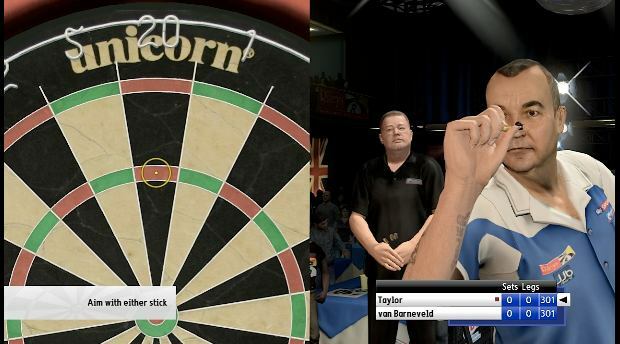 PDC World Championship Darts: Pro Tour is the next installment in O-Games dart franchise and the big news this time around is that the game will be getting Move support on the PS3 and MotionPlus support on the Wii. These things make sense considering that darts seems like a perfect match for motion controls. There's a lot of other features going on here including a career mode with the newly-established Grand Slam of Darts and the Xbox 360 and PS3 versions of the game will also have online 1-on-1 matches and DLC support that includes new players and darting accessories. How one accessorizes a dart, I don't know, but I guess it can be done. Fear: Darts in videogame form? Was walking to and from the dart board getting too much for us gamers? Maybe the added weight of the motion controllers over actual darts will give us all really strong forearms! But you're f*cked if you play this on 360. Where's the government warning that states that videogames can lead to obesity and heart problems thanks to the fact that you don't have to walk anymore? Nowhere, because the gaming industry controls the government.